3. You click the “Delete” button and you’re done. Turns out you can do it with one click— if you’re holding down the option key! Just hold it down and click the “x.” No waiting for the box to slide down, no need to click a confirming button. Just a simple Option-click. Voilá! UPDATE: in macOS 10.13.x, you use the SHIFT key, not the Option key, to delete a message without a warning dialog box. BONUS: turns out you can do it with no clicks. Rather, you do it from the keyboard. 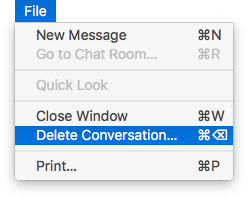 If you look in the File menu you’ll see “Delete Conversation…” (and as you know, anytime you see “…” you’re going to see a dialog box with a chance to confirm or cancel). 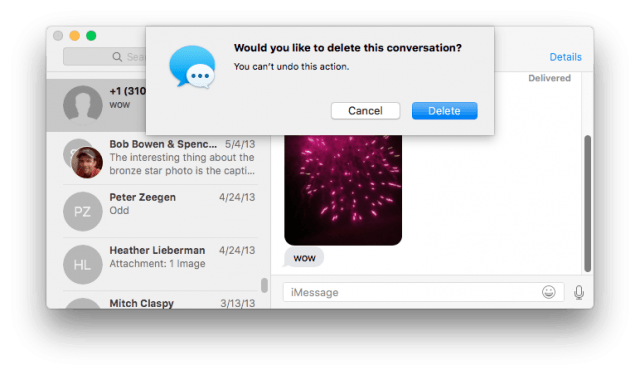 Notice the shortcut for “Delete Conversation…”: Command-Delete. Now notice what happens if you hold down the Option key. 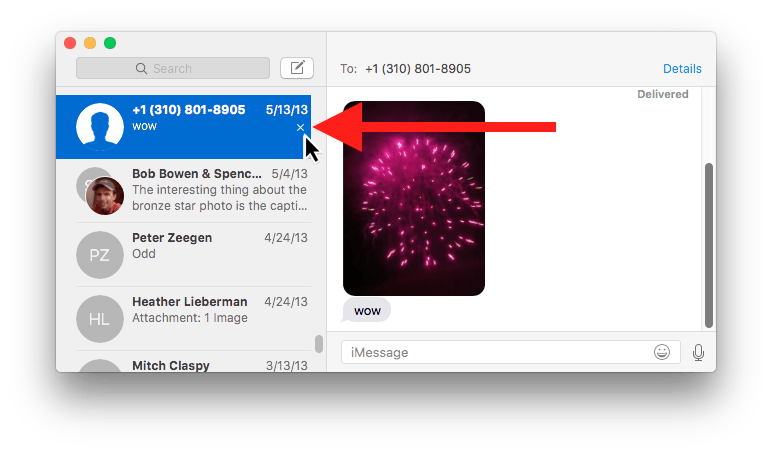 The menu items changes– and so does the shortcut. Now it’s Option-Command-Delete. UPDATE: this keyboard shortcut is not present in macOS 10.13.x. Hopefully it will come back in a later release. I do not have a substitute for you. 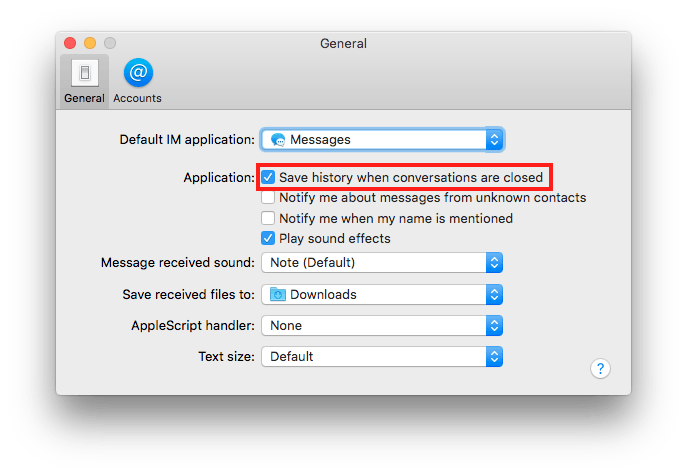 NOTE: if you check the box in Messages’ preferences to “Save history when conversations are closed” you won’t get asked about saving conversations (because they’re automatically saved). And that’s my eleventh Option key blog post. In 10.13.x, that keyboard shortcut does not work, you are absolutely right! Neither does Option-click. SHIFT-click does what Option-click used to (deletes the conversation without a warning dialog) but I do not have a purely keyboard delete method for you. I’ll update the blog post. Funny– here, in 10.13.6, holding NO key down at all lets me delete a conversation, no dialog box. This must have been added in one of the 10.13.x updates. 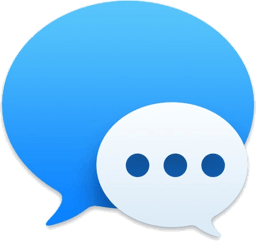 Mojave (10.14.x) remains a problem– so far, there’s no way to delete a conversation without encountering the dialog box.